Several cabinet ministers are reportedly planning to confront UK Prime Minister May on Monday and seek her resignation. Eleven cabinet ministers are planning "a full blown cabinet coup" to "remove Theresa May as prime minister" the Sunday Times' political editor said. The reporter also said that David Lidington, May's de-facto deputy, Environment Secretary Michael Gove or Foreign Secretary Jeremy Hunt are among the contenders to become interim prime minister, according to the plan. He also quoted an unidentified minister as saying that Theresa May "will be gone in 10 days". Earlier in the month, a Politico-Hanbury poll revealed that over half of UK voters want May to resign due to her failure to secure parliament's approval for the Brexit agreement she had negotiated with Brussels. 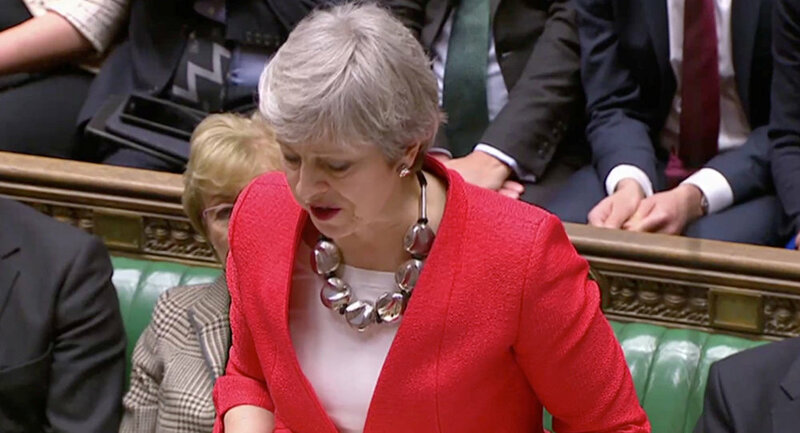 May told Conservative lawmakers in December that she was going to resign before the next general election, slated for 2022. However, she has not set a date for her intended resignation. On Friday, Austrian Chancellor Sebastian Kurz said that the possible departure of Theresa May from the post of UK Prime Minister would complicate the situation with Brexit. Following discussions on Thursday evening in Brussels, heads of the EU member states identified two scenarios for postponing Brexit, which the United Kingdom has requested. The first would be an extension until May 22, provided the withdrawal agreement is approved by the UK parliament. Should lawmakers reject the deal, the deadline would only be moved until April 12. European Council President Donald Tusk said that April 12 was a key date with regard to whether or not the United Kingdom would participate in the elections to the European Parliament.